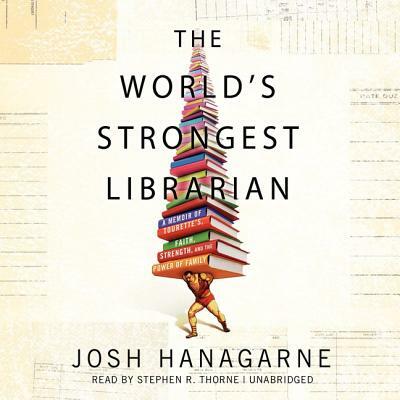 At first glance, Josh Hanagarne seems an improbable librarian. He stands 6'7, competes in strongman contests, and was diagnosed in high school with Tourette's syndrome. But books are his first love-Josh's earliest memories involve fantastic adventures between the pages of Gulliver's Travels and a passionate infatuation with Fern from Charlotte's Web. Everything in Josh's life-from his Mormon upbringing, to finally finding love, to learning to control his tics through lifting-circles back to a close connection with books. Today, Josh is a librarian at the Salt Lake City Public Library, founder of a popular blog about books and weight lifting-and the proud father of four-year-old Max, who has already started to show his own symptoms of Tourette's. The World's Strongest Librarian illuminates the mysteries of this little-understood disorder as well as the very different worlds of strongman training and modern libraries. With humor and candor, this unlikely hero traces his journey to overcome his disability, navigate his wavering Mormon faith, spread the word about the wonder of books, and ultimately, find love and create a life worth living.